Mar 3 UPDATED: Prince Oscar Carl Olof! This morning the King announced the newest Bernadotte Prince's name- Oscar Carl Olof! He will be called Prince Oscar and is Duke of Skåne. The King said that he had not met the littlest one yet as he has the Flu and they want to be careful with germs- but he was hopeful that he would get to meet him this afternoon. The Court published this photo of the new family of 4 going home from the hospital. This afternoon the entire Royal Family (minus Victoria) attended the Te Deum for Prince Oscar. Princess Madeleine who was here in Stockholm for the birth attended as well as her husband Chris O'Neill- even though he was not originally on the calendar to attend. I imagine he flew over from London last minute. Princess Estelle also attended looking very adorable in a jacket that had once been worn by her Aunt. 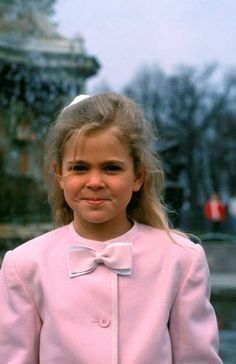 I think she is wearing the same Marie Chantal dress that she wore in her 4th Birthday photos. Queen Silvia pulled out a blue suit to celebrate the new prince's arrival and Princess Sofia also wore a new blue dress. This dress, while it is still unconfirmed, is from Ida Lanto- the same designer of 2 other maternity dresses she has worn recently. She wore black pumps and carried a new clutch which appears to be from Diane von Furstenberg. Her hat was made by Swedish Milliner Malinda Damgaard. Princess Madeleine wore green ensemble- the coat we have seen before as she wore it when she was pregnant with Leonore in 2013 while attending an event for Min Stora Dag. (Don't read too much into her wearing it while pregnant- it was early in the pregnancy and not maternity) She paired it with a dark green skirt or dress- hard to say from the photos, and new green boots from Tod's. The boots are a few years old but the first time she has been photographed wearing them. (Huge thanks to @PrincessanSofia for the find) She carried what appears to be her Angel Jackson and her necklace looks to be from Marni. You can see more photos from the Te Deum Service at Svenskdam. I think that wraps up this morning's excitement for now. I will update the post if new fashion finds are found. Mar 2 New Baby Boy!